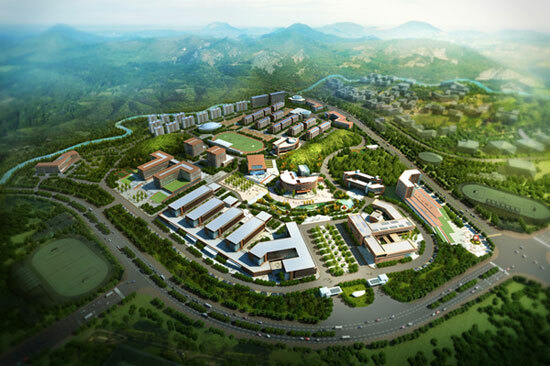 Guizhou province light industry professional technology institute as guizhou provincial government support in huaxi in higher vocational colleges of the university city, the development potential is huge, covers an area of 1000 mu, building area of 390000 square meters. The project was chosen for the golden age 300 * 1200 * 30 pottery. Guizhou province light industry professional technology institute through more than thirty years of wind and rain, the new campus construction projects using r 300 * 1200 * 30 ceramic plate, r ceramic plate with noise insulation, noise reduction, moistureproof, environmental protection and energy saving, rain self-cleaning, enduring features, not only can create a quiet study space, and can guarantee the environmental comfort, greatly enhance the user's security. The construction of new campus use r ceramic board fully reflect the light industry professional technology institute of guizhou characteristics of traditional and modern harmony, adjust measures to local conditions, with hill potential, simple and practical, environmental protection and energy saving of the campus culture.